Maybe winter is not the best time for wedding but these three girls have chosen it! So, help them prepare for such a great event! 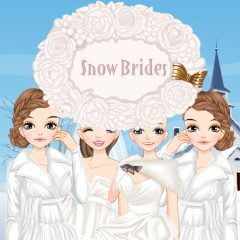 Choose snow-white wedding gowns for them and apply cosmetics to their pretty faces! Do not forget to do them nice hairdos!